Earlier this week, the National Latino Congreso (NLC) presented a list of qualified Latinos to fulfill key positions in President- Elect Obama’s Cabinet to top transition team officials. The NLC applauded the selection of Governor Bill Richardson as Secretary of Commerce, but reminded the President-Elect’s team, “that the past administrations have had several 2-3 Latinos serving in top posts and others serving in top White House Posts.” As reported here last Wednesday, similar efforts were made by the Congressional Hispanic Caucus, which also submitted a list of possible candidates to the President-Elect. Their list included Latino members of Congress Hilda Solis (D-CA) and Linda Sanchez (D-CA), John Salazar(D-CO), Raul Grijalva(D-AZ), and Ruben Hinojosa ( D-TX). In a press release the NLC declared, “Today, prominent Latinos are prepared with the proper experience and skill to serve President-Elect Obama at the highest levels in the Cabinet and White House.” Below, you will find the list of the individuals recommended by the NLC. About the NLC: The National Latino Congreso is an annual national policy and political gathering of national Latino organizations and elected officials. The event is convened by the following organizations: Southwest Voter Registration Education (SVREP), Hispanic Federation (HF), League of United Latin American Citizens (LULAC), Mexican American Legal Defense and Educational Fund (MALDEF), Mexican American Political Association (MAPA), National Alliance of Latin American and Caribbean Communities (NALACC), National Day Laborer Organizing Network (NDLON), National Hispanic Environmental Council (NHEC), William C. Velasquez Institute (WCVI). The Washington Post is now reporting that, Congressman Becerra is in Chicago today to meet with President-Elect Barack Obama to discuss the job of USTR. According to knowledgeable sources, Becerra, has “clearly been thinking it over,” in recent days, but has raised concerns about leaving the House and about whether to move his family to Washington. In a letter sent to the Obama transition team late Tuesday, the Congressional Hispanic Caucus formally asked President-Elect Obama to consider a number of Hispanic legislators for his Cabinet. The members of Congress whom the CHC is supporting include Congressman John Salazar (D-CO) for Secretary of Agriculture, Ruben Hinojosa (D-TX) for Secretary of Education, Raul Grijalva (D-AZ) for Secretary of the Interior, Hilda Solis (D-CA) for Environmental Protection Agency Administrator, and Linda Sanchez (D-CA.) for Secretary of Labor. As reported last week, Grijalva’s name has been floated as a possibility for Secretary of the Interior, but the others are not yet thought to be on any of Obama’s shortlists for Cabinet-level positions. The Obama transition team said it did not want to speculate on who might or might not fill Cabinet positions that have not been announced. Congressman Xavier Becerra for U.S Trade Representative? Latino Congressman Xavier Becerra (D-CA) appears to be a leading candidate to become President-elect Barack Obama‘s chief trade negotiator. 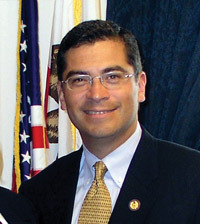 If selected, Congressman Becerra would be the first Hispanic to become U.S. Trade Representative. Currently, Congressman Becerra is the highest-ranking Hispanic in Congress, serving as Vice Chairman of the Democratic Caucus. As USTR, Becerra would negotiate directly with foreign governments to create trade agreements, resolve disputes and participate in global trade policy organizations such as the WTO (World Trade Organization). He would also meet with governments, business groups, legislators and public interest groups to gather input on trade issues and explain the president’s trade policy positions. In the meantime, the prospect of Becerra leaving Congress to become U.S. Trade Representative has reopened the fight for the position of Vice Chairman. According to top Congressional aides, Democrats such as Congresswoman Debbie Wasserman Schultz (D-FLA) and Congressman Joseph Crowley (D-NY) have already begun to make early moves for the position. The Wall Street Journal is reporting that President-elect Barack Obama plans to introduce New Mexico Governor Bill Richardson as his nominee for Secretary of Commerce on Wednesday at an 11:40 EST news conference according to Democratic officials. 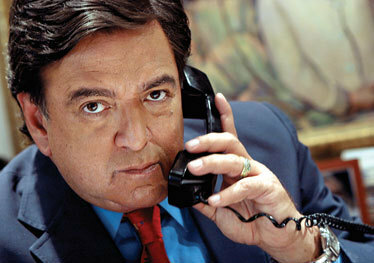 Governor Richardson is the first Latino to be nominated for a top cabinet post in the Obama administration. He had been a top candidate for Secretary of State, a job that will now go to Senator Hillary Clinton. Governor Richardson is a former Energy secretary and also served as United Nations Ambassador in the Clinton administration. 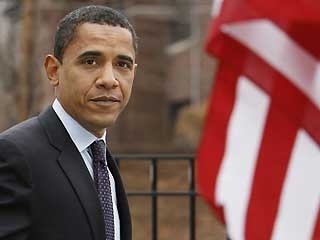 Last summer, he made headlines when he endorsed Senator Obama at the height of the battle for the Democratic nomination. According to Legal Times.com, almost every list of possible Obama nominees to the high court includes Hispanics, most notably Judge Sonia Sotomayor of the U.S. Court of Appeals for the 2nd Circuit. But others who are mentioned include: Judge Kim Wardlaw of the 9th Circuit (her mother was Mexican), U.S. District Judge Ruben Castillo of Chicago, California Supreme Court Justice Carlos Moreno, and Democratic U.S. Senators, Ken Salazar of Colorado and Robert Menendez of New Jersey. Legal Times.com also reports that, HNBA President, Ramona Romero is forming a committee, that includes Latino activists such as Carlos Ortiz. 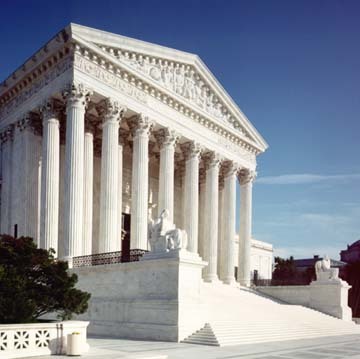 This committee would serve to contact and aid in vetting possible candidates for a Supreme Court nomination, so that they will be prepared when the opportunity arises.